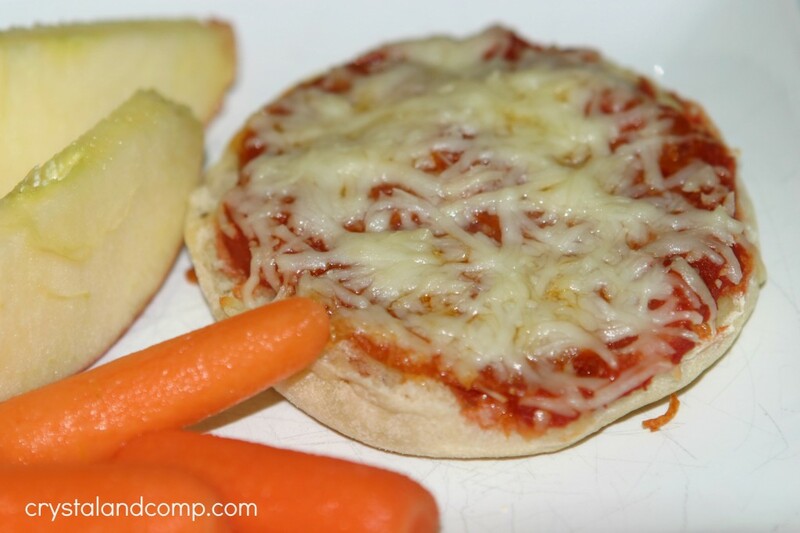 Are you looking for easy pizza alternatives that are kid friendly? This is a family favorite around here. I love that the kids can personalize this (although most of the time everyone sticks to cheese and pepperoni) and they can help with the assembly. 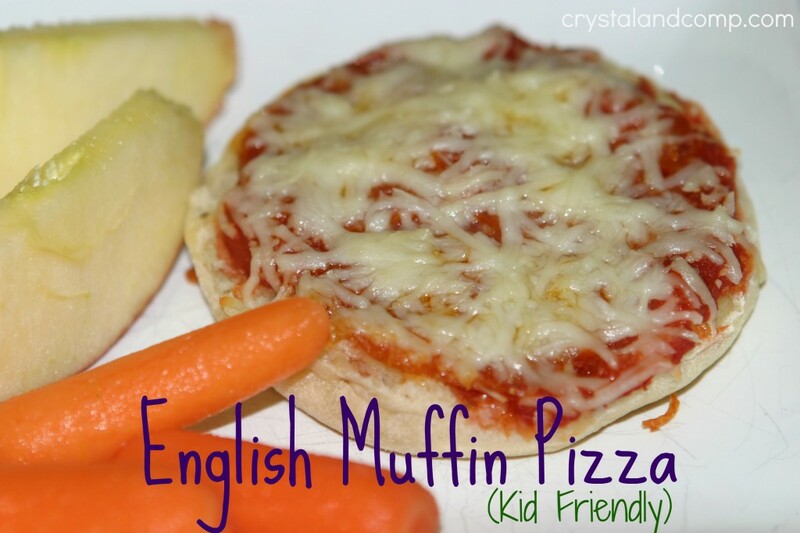 This also makes a great hot lunch for those of us who are home making lunches at home (like homeschool families). Check out all of my easy recipes to help busy moms like you get dinner (and lunch) on the table. 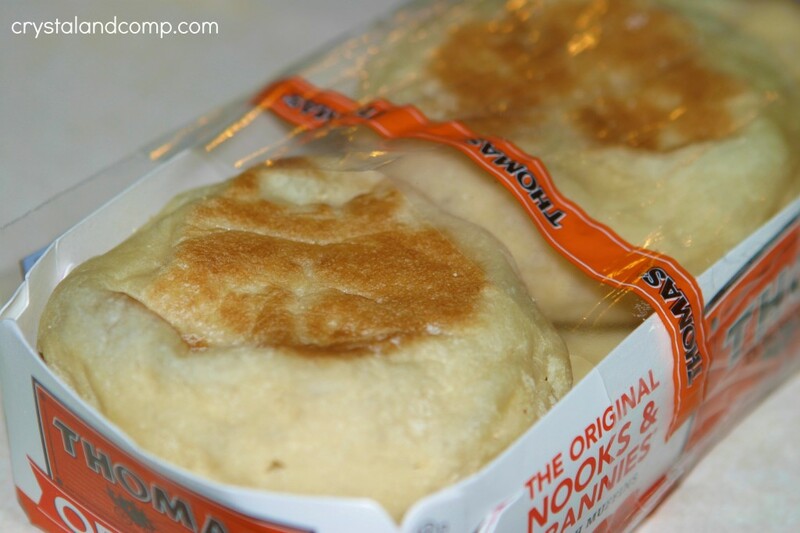 Take your muffins and cut them open- separating the top from the bottom. This will give you 12 personal size pizzas. 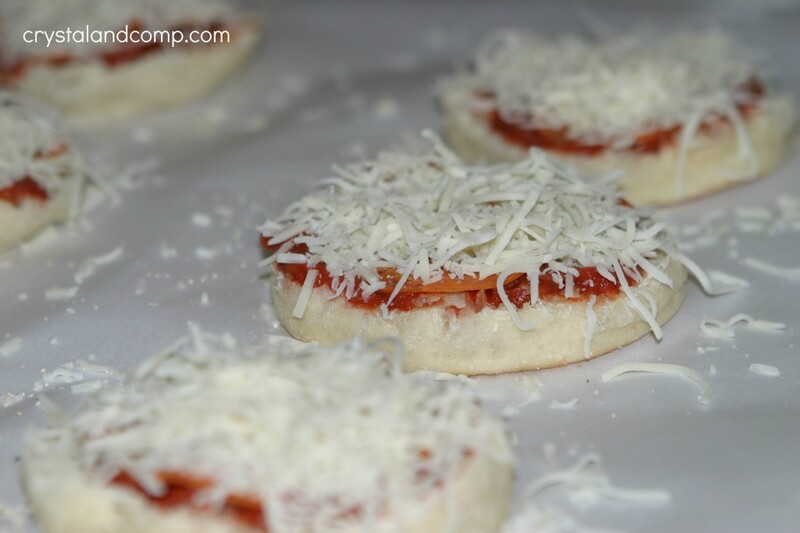 Scoop generous amounts of pizza sauce onto each English muffin half. 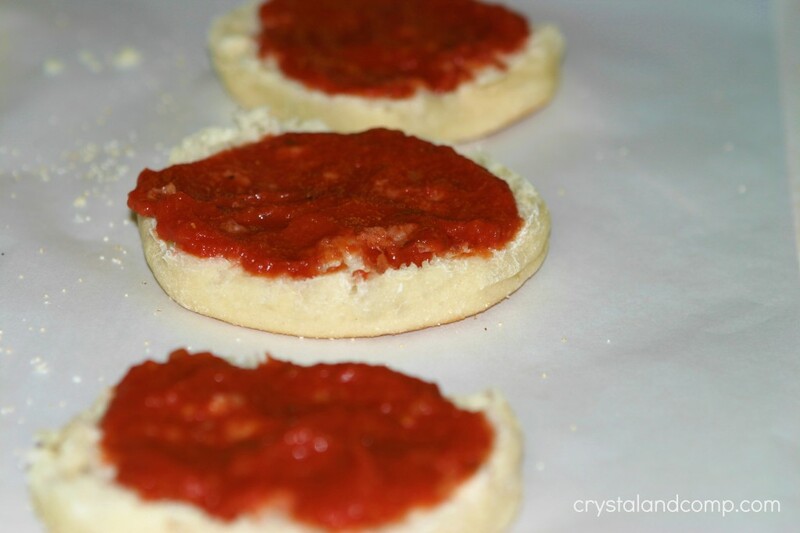 We buy the 12 oz can of organic pizza sauce and that will do all 12 English muffin halves. 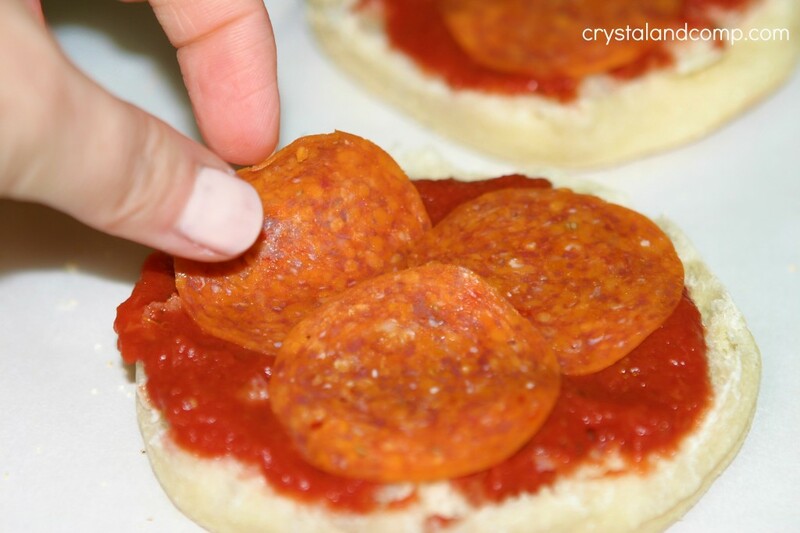 Place pepperoni over the pizza sauce. Top with cheese. We like an Italian blend. Pop them in a 350 degree oven until the cheese is melted. This takes about 10-15 minutes. Serve the pizzas up with a side salad or fresh fruit and veggies. We like apple slices and carrot sticks. Make sure you check out my list of over 20 pizza alternatives to change up the boring traditional pizza offerings. And remember, our kids do not want gourmet dinners, they simply want their family enjoying dinner together around the table. For more meal planning help check out my eBook.